When you need to find a qualified Inverrary Slip and Fall Attorney, call the Law Offices of Robert E. Gluck, P.A. 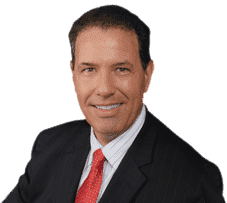 Since 1989, Robert Gluck has been practicing law and helping his clients receive the financial compensation they deserve for their slip and fall injuries. Whether you've fallen on a residential or commercial property, we will be able to give you the legal representation you need. As your Inverrary Slip and Fall Attorney, Robert Gluck will work hard to build a strong case for you and be the legal voice you need during this difficult time in your life. He'll start by launching an investigation into your claim and gather all of the evidence to prove negligence existed. Negligence exists when someone falls below the legal standard one must follow to avoid injury to others. As part of the investigation, your Inverrary Slip and Fall Attorney will locate and speak with any witnesses to the slip and fall, take photographs of the accident scene, obtain and secure any available video footage, and obtain any other evidence he believes will help build a strong case for you. He will handle every step of the process so you don't have to worry about doing anything yourself. It's important to trust your Slip and Fall Attorney to handle all the details himself. Studies have shown clients who seek legal representation may receive a higher compensation than those who don't. You won't have to go through this ordeal on your own. We will take care of everything for you so you can focus completely on healing your injuries and moving forward with your life.